Because it is the signature taste of Dutch cheese in Holland, Aged was the first Beemster cheese ever selected for export to the United States. Immediately received with great acclaim, Beemster Aged quickly became a best seller in the States and continues to gain popularity, worldwide. Made to a traditional Dutch recipe, Beemster Aged acquires its complex flavor from uniquely rich cows milk and at least 18 months of natural aging in historic cheese warehouses. The inimitable blue sea clay soil of the Beemster polder enriches the lush pastures, which not only gives Beemster milk a distinctly sweet flavor, but also enables Beemster cheeses to retain a wonderfully smooth creaminess during the lengthy maturation process. Aged Beemster’s lovely caramel colored interior is an invitation to a delightful eating experience. This cheese has an intense flavor, enhanced by a salty sharpness that moves gracefully into a sweet finish and offers a firm texture with a velvety mouth-feel and some tyrosine crystallization. Application: We recommend allowing Beemster Aged to come to room temperature when serving as part of a cheese board. The firm texture is great for slicing on sandwiches, cubing for snacking or adding to salads or grating on any dish calling for complex, full-flavored cheeses. Pairing: Chardonnay provides an excellent foil for the sweet caramel notes of Beemster Aged. Try a rich, full-bodied Cabernet Sauvignon or pair with farmhouse/saison ales. 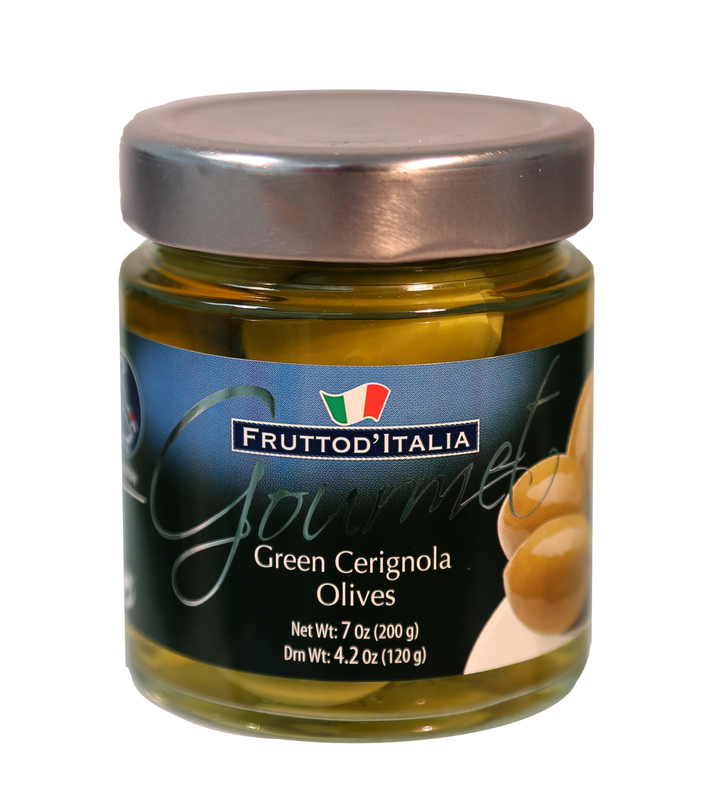 Packed in a 3.0 – 4.0 salt content brine with no added preservatives, Green Cerignola Frutto d’Italia Olives are delicious on their own, perfect for antipasti or cocktails and of course a delight with cheese.